In my constant search for cute robot decor, toys and apparel for JD I came across this website called LuCoo. 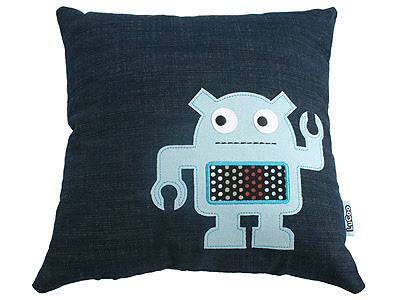 LuCoo sells really fun and artistic products and their robot products are just so darn cute! 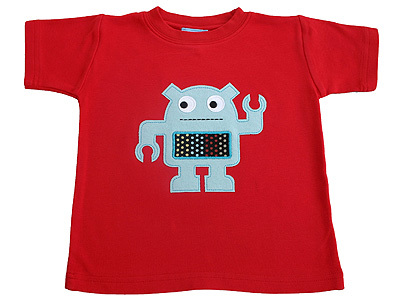 Here is JD wearing his new robot shirt. 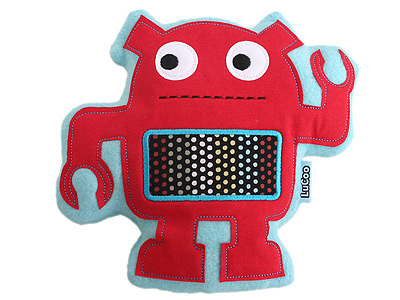 LuCoo makes products for kids that are inspiring, modern, and fashionable. 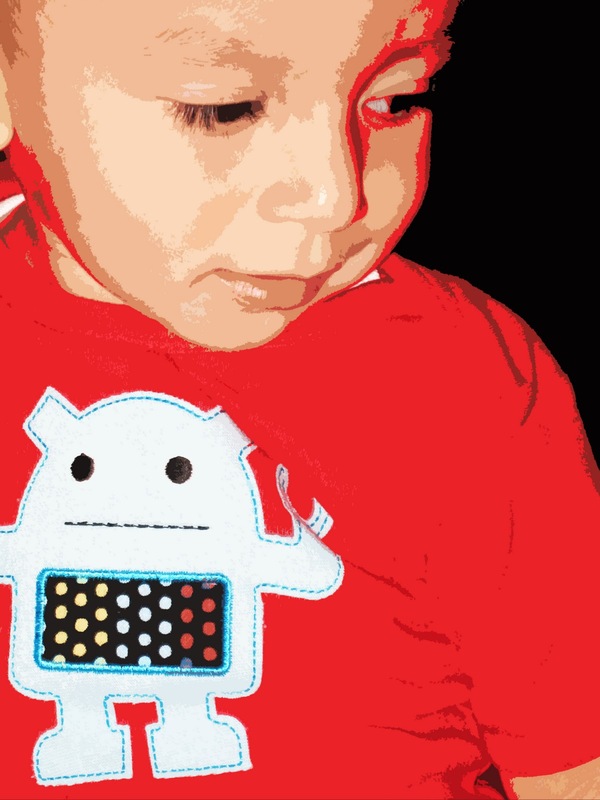 We hope to help teach kids to appreciate art - color, pattern, design - in the everyday. Promoting self expression through fashion and encouraging kids to feel good about themselves is important to us. It's about celebrating creative fun with a hip, modern aesthetic. Me too and I have more robot stuff to come, I've gone robot crazy!